I knew from the start of this challenge what song I was gonna use for this, Eminem - Survival. I've been wanting to paint the Call Of Duty skull on my nails ever since the music video came out last year. Plus this song just makes me wanna jump up and start spittin the best punchlines I've ever written. 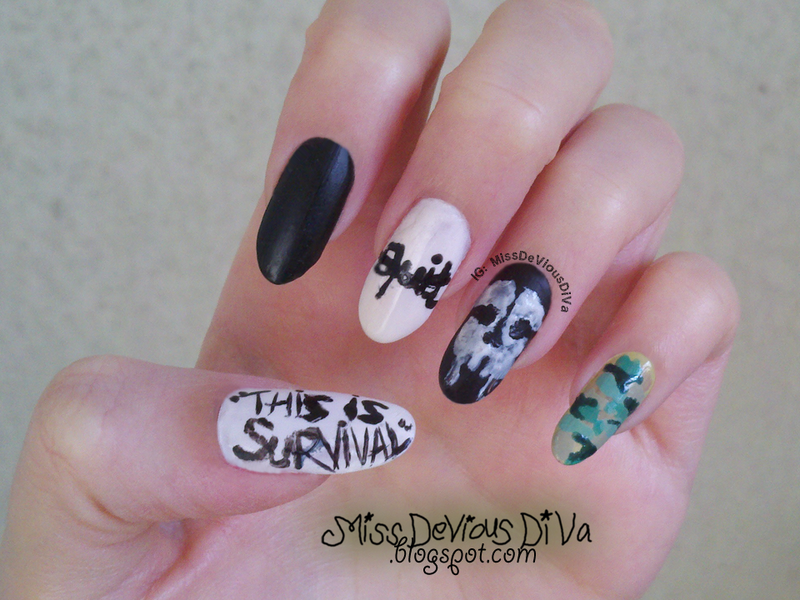 I did the skull on my ring finger, the signs "THIS IS SURVIVAL" and the "quit" with a line through it, and then I just did plain black matte and tried out doing camo for the first time. I used Love & Beauty - Ivory, Hot Topic - Matte Black, and four colors from the Sinful Colors Adventure Island collection - Adventure Island, Seaweed Green, Open Seas, and Rise & Shine. I also used a black Kiss nail art striper. 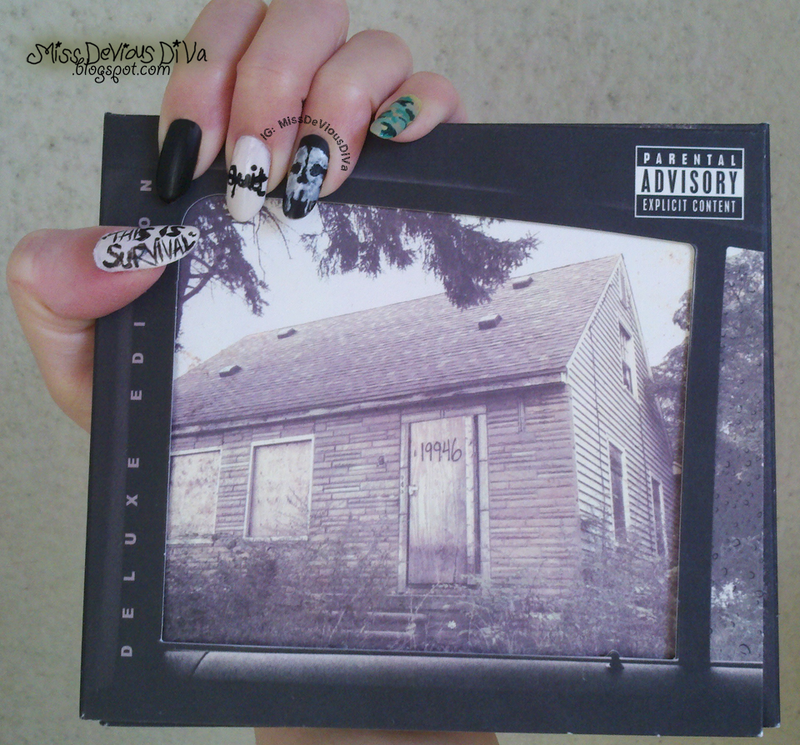 Oh you know my copy of MMLP2 is the deluxe edition! I love that skull so much, I don't really wanna take it off tomorrow. Can I just keep these nails and use the lyric book from this CD for my Inspired By A Book post?